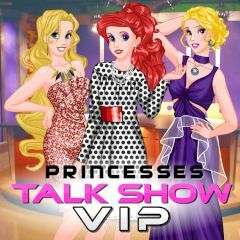 Three princess friends were invited on a talk show VIP. Well, they need amazing look for this event. Can you help them get it?